Amazingly, it actually has only been a fortnight since the last link post. But I wanted to get this post out to you, gentle readers, in part so I could share a piece of news: DET is shuttering the windows, locking the door, and turning off the lights for a lengthy summer hiatus. This is the last post that we will bring to you until August 16th (at least that’s the current plan). So sit back and relax on whatever beach, sky-scraper rooftop, tube in a river, or wherever you like to kick it in the summer, and enjoy some good theology reading. In addition to the links below, there’s always the rather robust (that’s an understatement at this point…) DET archives – things like the Karl Barth Blog conferences, our collection of book reviews, the various serials, and should all that fail, the month-by-month archive in the right sidebar. 1. For most people the language of apostolicity brings to mind the end of the Nicene Creed or the idea of apostolic succession. What do you mean by the word and why is it such an important issue today? Intention is something we white Americans tend to focus on in an attempt to wash our hands of black suffering. So long as we “mean well,” we suppose, there is no blood on our hands. But to our black brothers and sisters who are still bleeding, the cleanliness of white hands is quite beside the point. Within the sprawling smorgasbord that is Karl Barth's oeurve, lesser feasts abound. 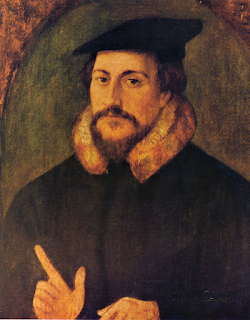 One such is his lectures, in the early 1940s, on the Apostle's Creed portion of Calvin's Geneva Catechism. (Here I cite the recent reprint, for your purchasing convenience, but my copy is the Meridian paperback edition from 1958). Several things about this fascinating little book stand out. The lectures were addressed to pastors in the francophone region of Switzerland (canton Neuchâtel) and, consequently, were delivered in French. As Jean-Louis Leuba notes in his preface, the text was compiled, with Barth's approval, not from an original manuscript but from notes taken during the lectures, and this fact makes the text a bit quirky.